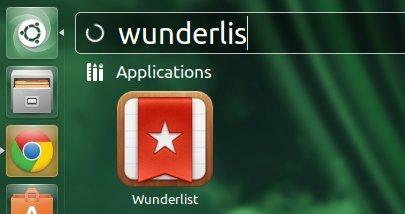 Want to install Wunderlist 2 on Ubuntu or Linux Mint Desktop? 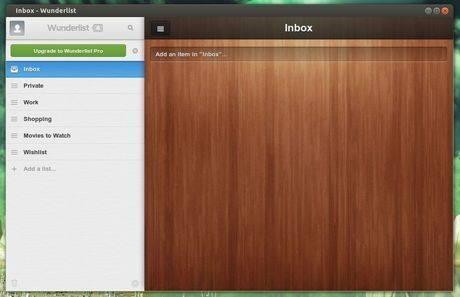 Well, here I’ll show you how to do it via fogger, which will install the Wunderlist 2 web app on your desktop. UPDATE: It seems that the Wunderlist 2 is not working properly with fogger now, you may use Wunderlist 2 with your web browser by visiting http://www.wunderlist.com/. 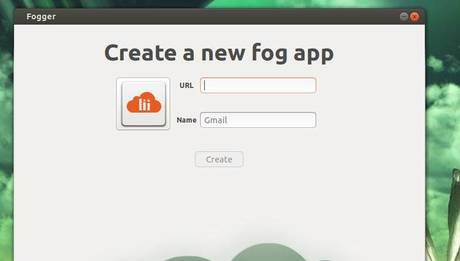 Fogger is a simple application which turns your web apps into into regular Linux desktop apps. It’s kinda similar to Unity Webapps. Fogger uses WebKitGtk as its web interface. It acts as a bridge between web applications and the linux desktop. It exposes an easy to use JS API to webapps which can be used to interact with the host desktop environment. It can also be used to write basic desktop apps for linux in pure web style. Fogger is available for Ubuntu 13.10, Ubuntu 13.04, Ubuntu 12.04 and Linux Mint 13, 15, 16 via its PPA. Copy and paste below line into URL, and type Wunderlist in Name area. Click Create. After that, you can launch Wunderlist 2 from Unity Dash Home. For first time, you need to type username and password to login. Exactly the same for me as Manuel I am afraid. Same with me. I installed latest Firefox & Chrome, and then tried Beta versions, too. This how-to simply does not work. You can download the AppImage so you can try the app without installing it, and if you like it you can also use the AppImage to install the app in your system.